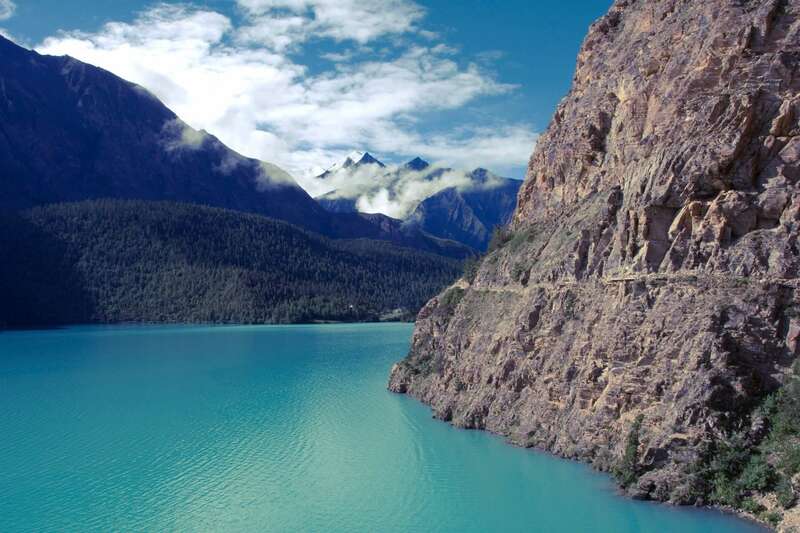 Dolpo is the most abundant district of Nepal and lies in the mid-western region. 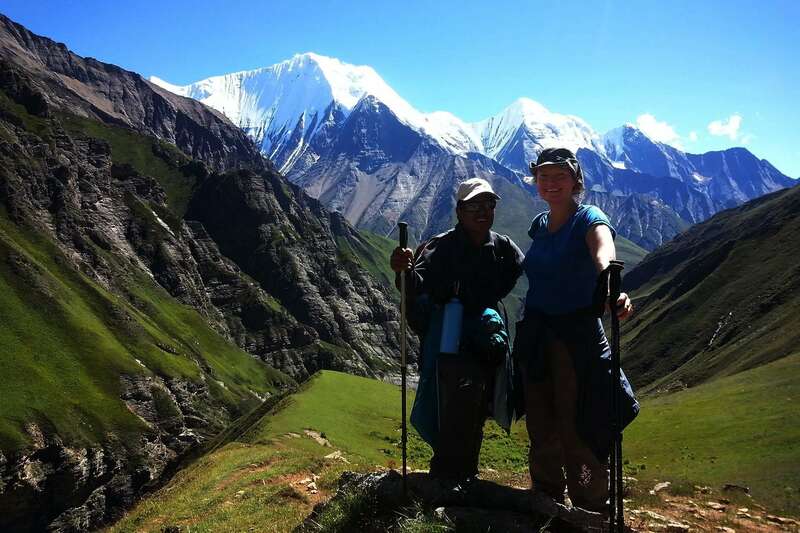 The Dolpo trekking is being popular because of its unique pristine culture, people, and the trans-Himalayan scenery. Moreover, natural beauties and as well as ancient chortens, monasteries and Mani walls along the trail. Dolpo Dho Tarap Jumla Trek offers wilderness trekking experience, but it needs to be walking through the three passes namely Num – la, Baga – La, and Kagmara – La. 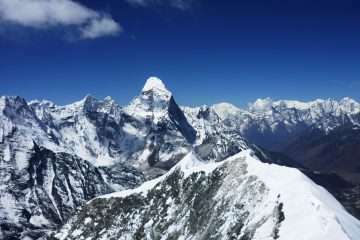 All of them are more than 5000 meters high, so the trekkers require good experience of the mountain and physical condition. Dolpo Dho Tarap Jumla Trek begins from Juphal using passing several villages, barren alpine lands, rivers, as well as green lush subalpine vegetation. 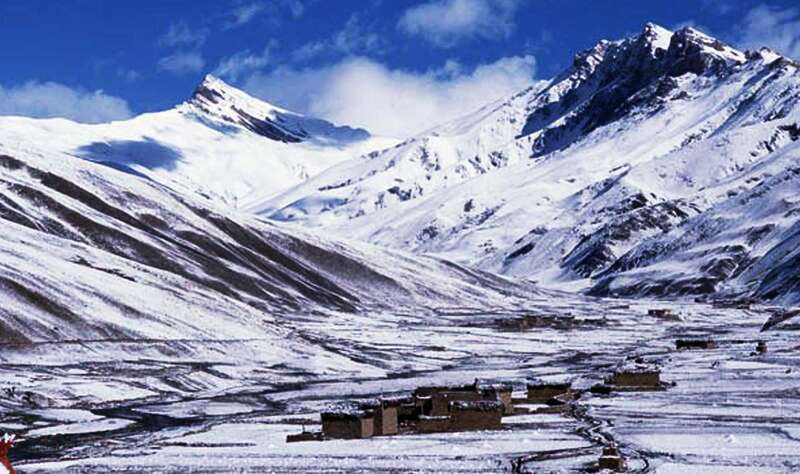 Discovering the hidden treasure of Tarap Valley making high passes of Num – La and Baga – La, both pass are towering between Tarap valley and Phoksundo valley before entering to Phoksundo Lake. These are part of the Lower Dolpo Trek which providing a rewarding experience of the trans-Himalayas whereas less raining in the monsoon. The trail goes to the upper route to Jumla but requires to traversing by Kagmara – La with an elevation of 5100 meters from Ringmo. Although it passes through the green lush alpine vegetation, crosses several rivers, monasteries, and villages in the Shey Phoksundo national park. And it’s buffer zones that let your lifetime memorable experience and adventures while trekking to Jumla from Dolpo. 3: Fly from Kathmandu to Nepalgunj. 4: Nepalgunj to Jhupal (2,320 m) and then trek to Dunai (2,850 m) 3h00 walk. 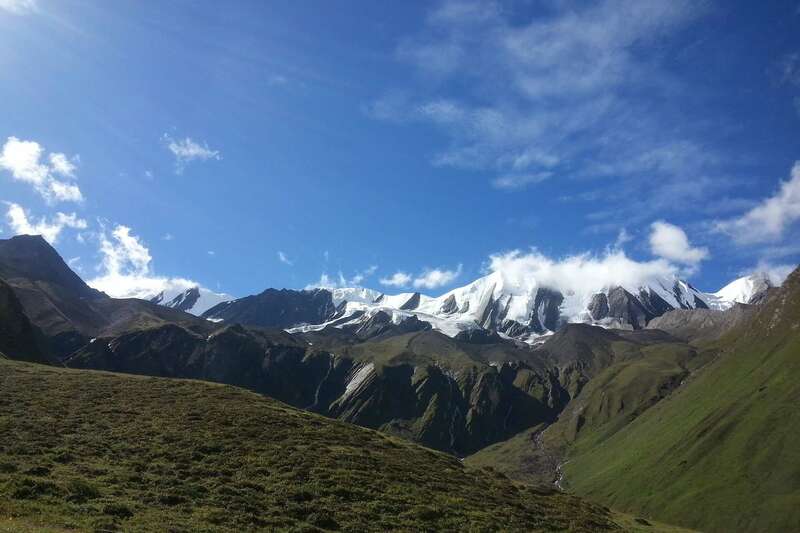 5 – 8: Dunai to Do Tarap (4,090 m) 7h00 walk. 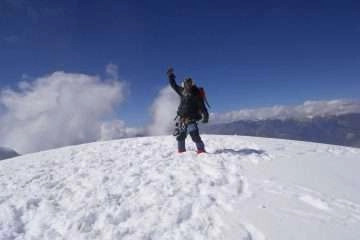 10: Dho – Tarap Numa La Base Camp (4440 m) 6h00 walk. 11: Numa – La (5,190 m) and camp at Pelung Tang (4465 m) 6h00 walk. 12: Cross Baga – La (5,070 m) and camp Dajok Tang (4,080 m) 6h00 walk. 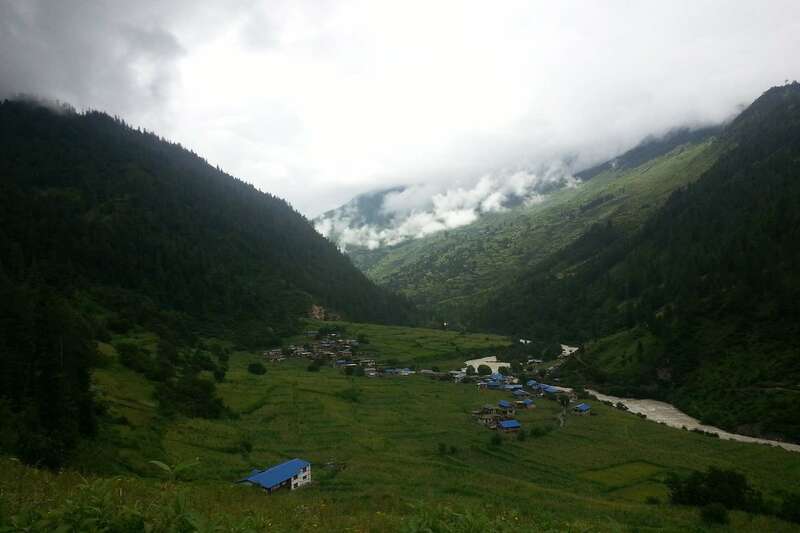 13: Dajok Tang to Phoksundo Lake (3,600 m) 3h00 walk. 14: Rest Day Phoksundo Lake! 15 – 18: Ringmo – Hurikot (2600 m) 5h30 walk. 19: Hurikot – Chaurikot (3060 m) 5h00 walk. 20 -22: Chaurikot – Jumla (2540 m) 6 h00 walk. 23: Jumla – Nepalgunj – Kathmandu. 24: Free day in Kathmandu. It requires making the fight in Juphal in the morning. Forty-five minutes amazing flight provides super visibility of Himalayan foothills, with views of Annapurna and Dhaulagiri mastiff. After reaching in Juphal and arrange luggage and other stuff then an easy walk to Dunai. As usual as after the breakfast, the trail leads continue uphill walk along the gorge of the tarap River. It is a real experience of remote areas while you feel along the trail where you have to jump up one side to another side to cross the River in the narrow belt. 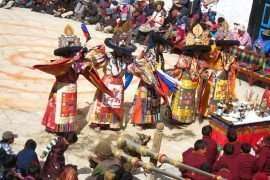 This is an opportunity to explore the wilderness of Tarap valley dominating Tibetan people from Bon religion and their monasteries and spectacular views of mountains. Today is rest for a long walk in the trans-Himalayan and have an opportunity to explore the Alpine Phoksundo-Lake and Tibetan Buddhist monasteries. Day 15: Ringmo – Pungmo (3304 m) 6h00 walk. Today’s walk down to Pungmo is very rewarding as huge rock walls guard the upper valley and as we leave Ringmo village, the lake can be seen. 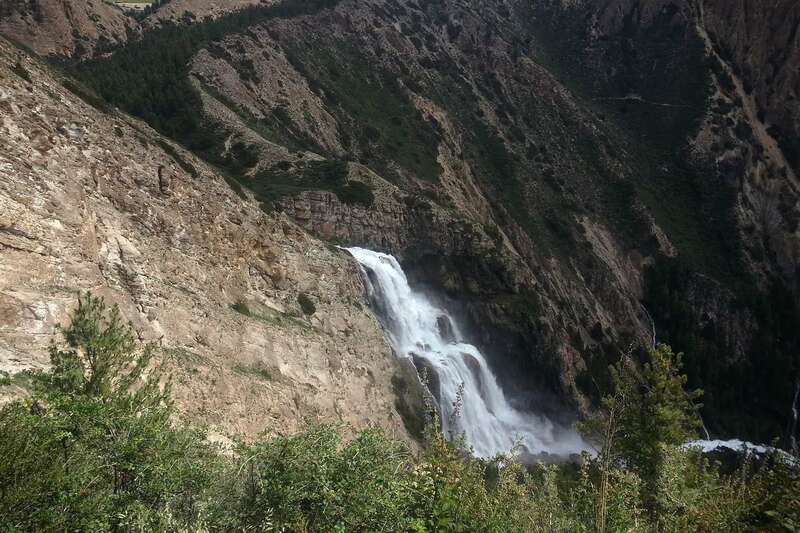 Impressive is the huge waterfall falling from the Phuksumdo River. From the prayer flags, a pleasant half an hour’s walk leads to the small settlement of Chunuwar; a lodge and an AMCHI hospital that dedicate to provide traditional medical services for the local people. Way down to Sanduwa where we meet a junction of the river comes from Phoksundo, and Kagmara Lekh crosses the bridge and immediately take right side way approximately 2 hours walk up to Pungmo. Day 16: Pungmo – Lasa (4200 m) 6h00 walk. A big climbs, approximately 1,000m passing through the small settlements, forests numerous chortens and monasteries cross the bridges along the Yulun Khola. The Himalayan blue sheep and wild fox are seen from the path as well as the numerous birds the barren pastures. Day 17: Lasa – Kagmara Pass (5100 m) – Kagmara Phedi (3500) 6h00 walk. A big day is cross the Kagmara – La (5100 m), the trail goes to uphill towards Kagmara –La; reaching on the pass is marked in the traditional Tibetan way with hundreds of prayer flags, and the view is quite stunning. The short climb to the summit of Kagmara RI (5370m) takes no more than half an hour, but the other view is well worthy here. 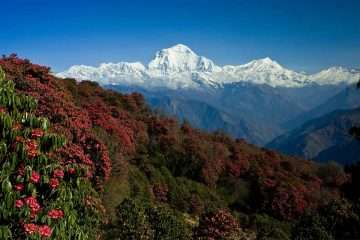 The stunning views of Dhaulagiri Massif in the east and Shey-Shikhar, Kanjiroba Himal in Northeast and Api and Saipal Himal in the west are equally impressive. The path steep and big descends and follows the path of Garpung Khola that leads an excellent view of Kagmara and an opportunity to see the Himalayan Blue ship. Day 18: Kagmara Phedi – Hurikot (2600 m) 6h00 walk. The trail goes gradually descending along the Garpung Khola through forests. it is a straightforward walk; cross several bridges in the same stream that leads Toijum then continue walking along the Garpung Khola to a Hurikot that exists a point of Shey phoksundo National Park. Day 19: Hurikot – Chaurikot (3060 m) 6 h00 walk. A delightful walks, through more forest, which yields the first view of the Bheri River itself. The path can be seen detouring across the hillside through the village of Chaurkot. Day 20: Chaurikot – Chotra Gumpa (3200 m) 6h00 walk. The trail goes gradually climbs up to Nauli Goth then further climbs up to Maure Lagna (3894 m) pass. The path descends to Ghar Khola and crosses a bridge continue to walk to another stream cross it again continue to walk along the stream to Chhopagaon then little climb to Chotra Gumpa. Day 21: Chotra Gumpa – Gothi chaur (2700 m) 5h00 walk. The trail leads you following the river through some of the superb forests so far seen, after 2 hours walk arrive in Munigaon where is the police check post. The main trail continues south-east to Jajarkot and Bheri River. The trail leads you west cross the several bridges to get a Gothi Chaur. Day 22: Gothi Chaur – Jumla (2540 m) 6 h00 walk. The trail goes uphill through the sheep pasture a lovely view of the rolling hills around the surroundings. Reach in Garjyankot for lunch. A slightly longer walk in the afternoon passes a few houses following the path heading south-west to Jumla. Day 23: Jumla – Nepalgunj – Kathmandu. In the early morning, we take a flight to Nepalgunj then catch up next available flight to Kathmandu. The day can be occupied as security day in case of flight interruption. Alternatively, you have a chance to explore the Heritage site of Kathmandu if arrived in schedule itinerary. Prices quoted and payable only in (US$ dollars). All the published rates on our website set as low as possible. The Prices may vary at any time due to currency fluctuation, fuel prices, and unforeseen economic circumstances. But, we guarantee our prices which already signed up for your tour. Please consult us for a custom quote.